Paganism: The Month of January | The Pagan & the Pen ~ An Online Magazine! January is considered Winter’s second month. Sometimes called ‘The Gate of the New Year’ and or ‘The Coming of the Dark’. It’s the reference to the Gate that interests me the most. Since January marks a New Year and many customs celebrate the beginning of new things then it makes sense to me. After all, January stands for Janus, the Roman God of Gates. He was called ‘God of the Gateways’, or ‘of the journey’ or ‘of the doorways’. He was protector of the Gate of Heaven (which at times symbolized the Goddess) and the Lord of New Beginnings. He is often associated to the Goddess Janus and or Juno. The month of January also symbolized many other forms of the Goddess such as Hera, Freya, Hopi, Venus, and many others. What does a Gate represent to you? Here we are in the depth of Winter—the darkness—when the Goddess sleeps as so does the seasons and world. It was during the Winter Solstice that she brought forth the light…her son…the Sun– promising that all would be reborn and would begin again. So it’s fitting that January would represent Gates, New Beginnings, New Journeys & Doorways, don’t you think? In other forms of Paganism, January was known as the Wolf Moon. 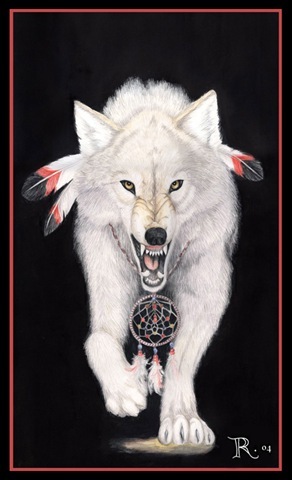 Moon – January Amid the cold and deep snows of midwinter, the wolf packs howled hungrily outside Indian villages. Thus, the name for January’s full Moon. Sometimes it was also referred to as the Old Moon, or the Moon After Yule. Some called it the Full Snow Moon, but most tribes applied that name to the next Moon.